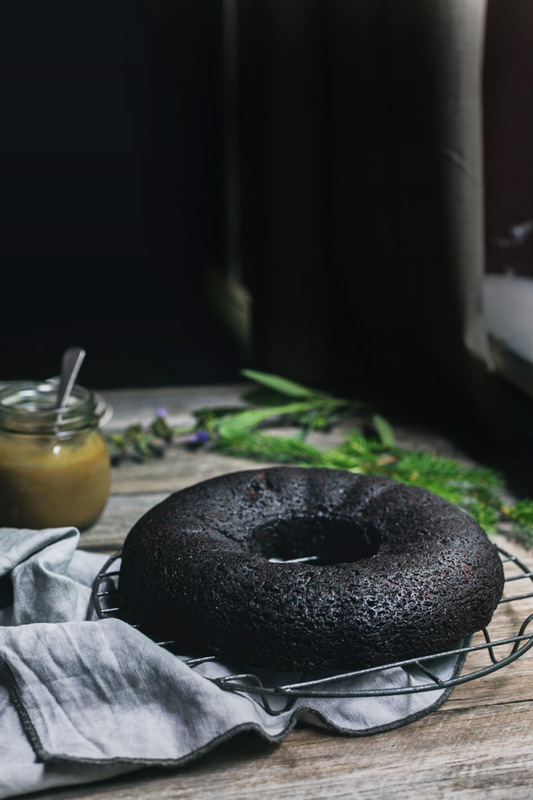 In the time you can say Vegan Chocolate Gingerbread Bundt Cake, you can have this gorgeously moist, heavenly spiced cake on the table. OK, you may have to say it a few times but the point is, this is a wonderfully simple and quick dessert that also brings a little wow to the Christmas table. 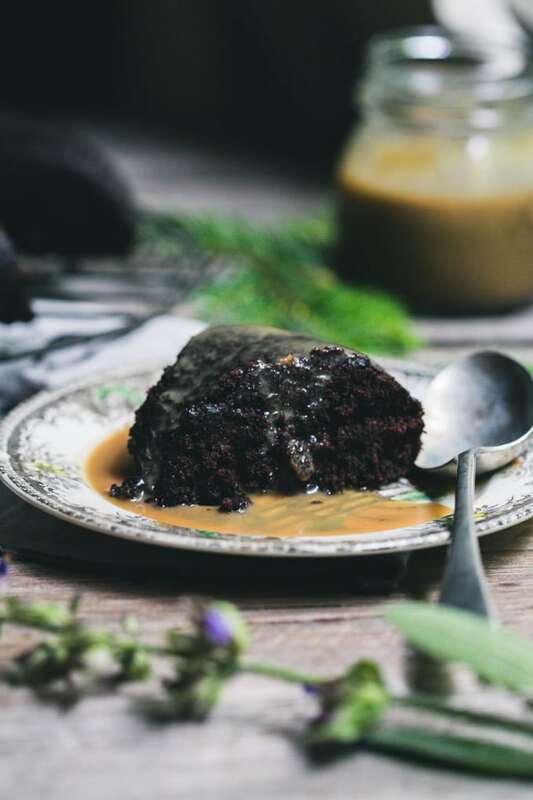 Served with a vegan brandy butterscotch sauce this special cake has all the flavours of the festive season but is light enough to enjoy all year round. I have Ms Martha Stewart to thank for this inspired dessert. 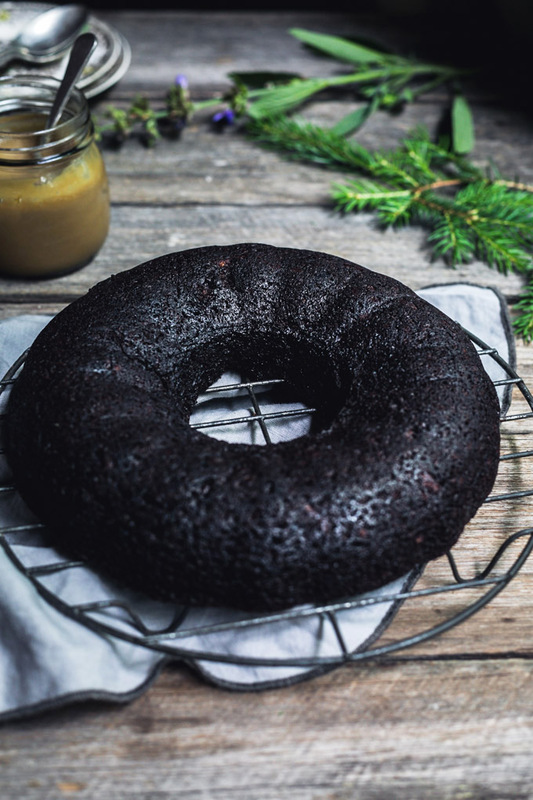 I found her recipe for a chocolate gingerbread bundt cake while trolling the Internet for Christmas inspiration and with a little mixing and juggling, came up with this vegan version. In barefoot Martha Stewart-style, I substituted regular sugar for unprocessed sugar, butter for coconut oil and I tweaked the molasses to a more subtle level by substituting a portion with maple syrup. While I am more than happy to sing the praises of this dessert to the hills (and I live in the Hills so I can), one of my favourite things is how unbelievably simple and quick this gorgeous, luxurious cake is. From melting the coconut oil through to conjuring a wonderfully smooth brandy sauce and finally pulling the cake from the oven, we are talking 60 minutes. One hour. 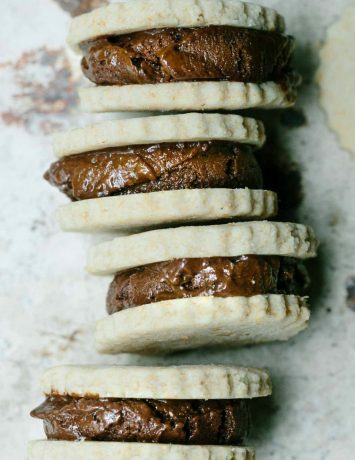 A show-stopping dessert for Christmas in an hour. While Martha indulged in a bourbon syrup (if memory serves), I have created a brandy butterscotch sauce to go with this vegan chocolate gingerbread bundt cake which, I will share in the next post. 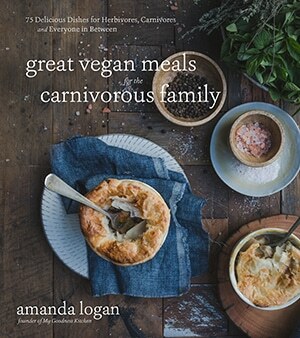 I am posting it tomorrow so it will be well and truly available for Christmas Day. It takes ten minutes so you can easily whip it up last-minute. The reason for the separate post? 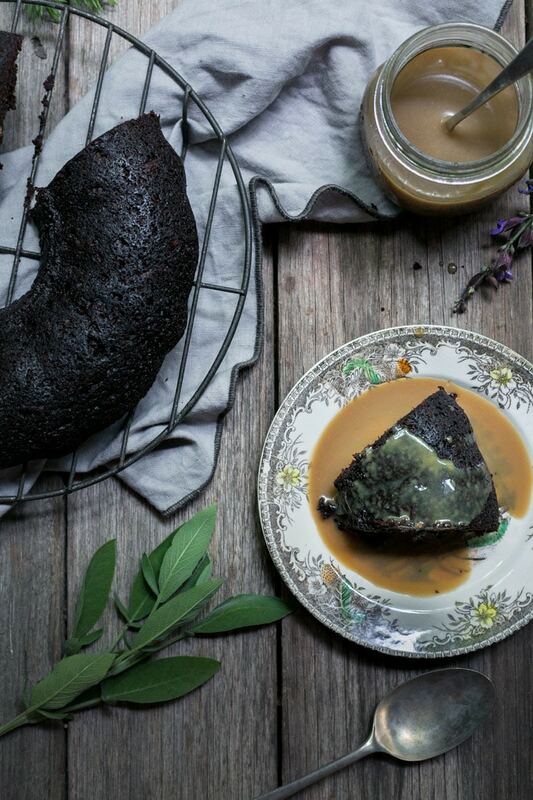 While this vegan chocolate gingerbread bundt cake and the brandy butterscotch sauce are a match made in festive heaven, they can both stand alone. The butterscotch sauce particularly is a stand-alone recipe. It will become a favourite, in this house anyway, atop ice-cream or drizzled over poached pears or apples. It is just wonderful. Today, however, is all about the bundt. With my hat tipped to Martha, I will say this lovely cake is one of my favourite desserts on the blog. Dark and decadent with gingerbread spices and chocolate undertones, this bundt cake is a fantastically simple, quick and unique dessert. While the festive merry-go-round continues with gusto, I am so pleased I don’t have to soak this and whip that to create a wonderfully decadent dessert. This is something my family will love (sans the brandy for my Elf) and to be honest, that makes me a little proud. I am not a baker but this dessert makes me feel a little bit Martha; like I can juggle the lunch, the family and Santa too. It’s a little Christmas gift to myself. And to you. 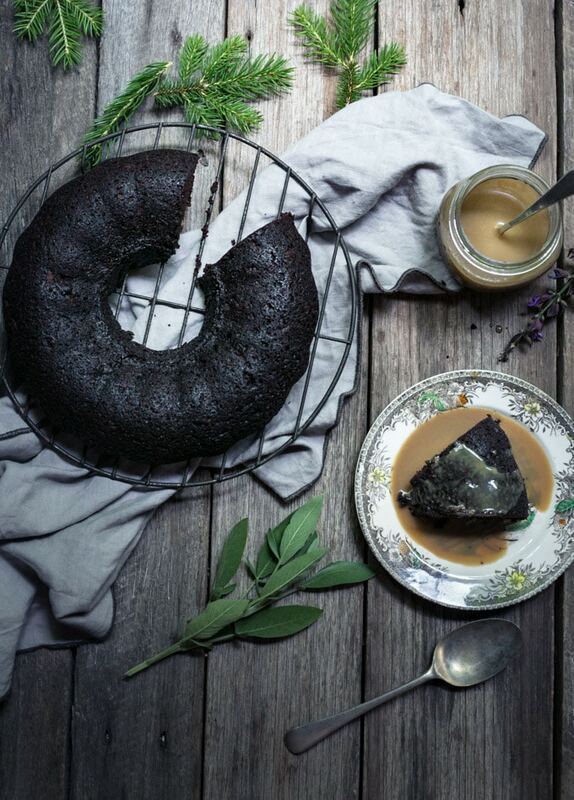 In the time you can say Vegan Chocolate Gingerbread Bundt Cake, you can have this gorgeously moist, heavenly spiced cake on the table. In a small saucepan over low to medium heat combine the coconut oil, molasses, maple, sugar and water until the sugar is completely melted. In a large bowl, sift the flour, cocoa, baking soda and spices together. When the wet mixture is cooler whisk in the flax eggs and milk. Create a well in the dry ingredients and pour the wet ingredients in. Fold to combine and create a batter. Pour the batter in to the prepared bundt pan and bake in the oven for 30 to 35 minutes or until the sides are pulling away slightly and the skewer comes away clean. Cool in the cake pan for at least 10 minutes before carefully turning out on to a cooling rack. Removing cakes from bundt cake pans can be daunting. Make sure to prepare the pan well before baking by greasing well making sure to get in to the nooks. Remove the cake slowly and patiently on to baking paper which you can lay on the cooling rack.